Music students from University of East London talk to Dance students and esteemed lecturer and author Tim Lawrence about the connection between dance and music. Exploring the concept of vibe from different perspectives. 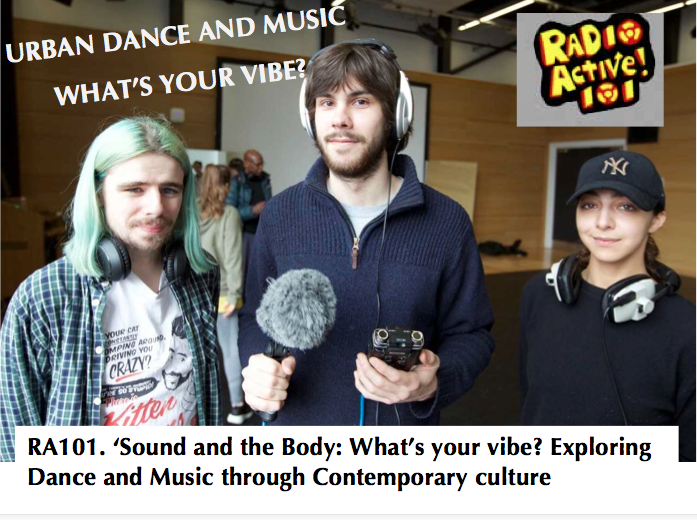 …and recordings from the “Scratch Lab” event which was conducted by UEL’s Dance students.